The work presents the photographs taken into Martin Lenclos's virtual New York City environment called New York Exit New York.Along process of re-appropriation took place during the weeks and months after the virtual world had been built, where Martin Lenclos would surf the 3D environment and take pictures when unexpected events would occur. Happenings that were never pre-calculated would "happen" as scenes of a city that lives on its own in the virtual space. JPG Symphony — The composition lines of this unplanned situation felt as if the cars had crashed to accentuate the street perspective. My throat hurts from screaming as a train passes above our heads. 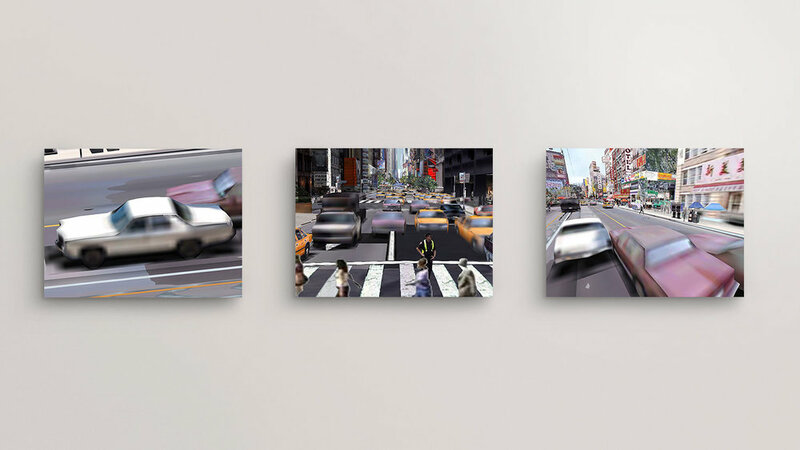 New York Exit New York (NYXTNY) — A real time 3D art installation designed in partnership with interactive designer Priam Givord as a representative New York City intersection by weaving together the city’s different dominant themes. 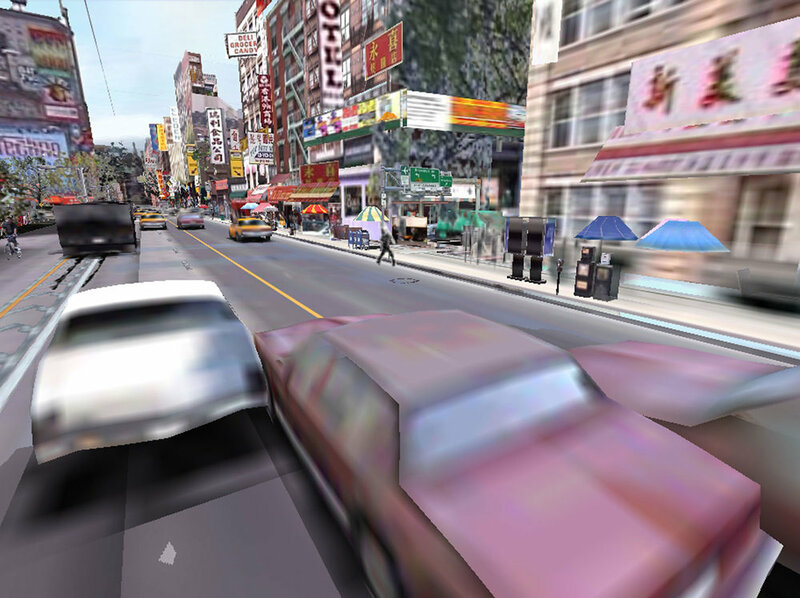 NYXTNY is not a realistic turn-by-turn layout, but rather, it is an impressionistic representation of the streets: it leaves the spectator feeling a sense of the “New York-ness”. It tries to create something that could change the way we conceive, look at, and construct virtual space in that it is not total fantasy, but rather is based on familiar elements put together as a total vision - something that is nearly impossible in a real city.